It's one of my favorite road trip hacks - the Pet Shop Pit Stop. They're open early, and close late. Almost every town has one, and the kids get a chance to stretch their legs and look at something interesting without pestering me to buy a thing. walkingon travels on July 12, 2012 at 10:27 p.m.
Jody on July 13, 2012 at 7:58 a.m.
HA! While my girls love pet shops- and even if they know there is NO WAY we are buying a critter- I always hear how cute they are with at least a dozen "I wish" and at least one "Please can we have". But we go anyway because you are right- they are great stops. Allison on July 13, 2012 at 12:59 p.m.
That's such a great idea for little kids! My daughter is now 8 and we did come home with a fish for her once, so I'm the one treading in more dangerous waters at the pet store now. Steve on July 13, 2012 at 10:12 p.m.
Love stopping at the pet shop, but how exactly do you get the kids to not pester you about buying the animals? That's a trick worthy of an entire series of blog posts. Todd on July 15, 2012 at 11:54 a.m.
Surminga on July 20, 2012 at 4:26 a.m. This is a great idea! 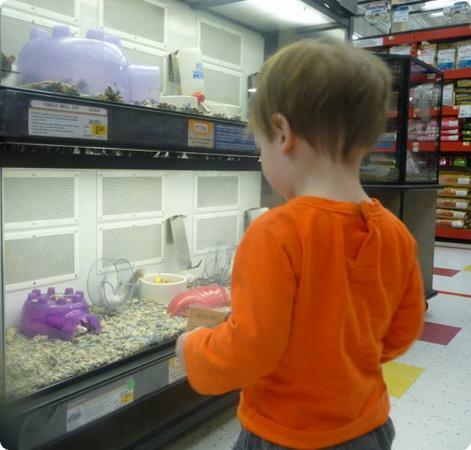 Never thought of pet stores in this way, let alone kids it could keep me entertained for a while!